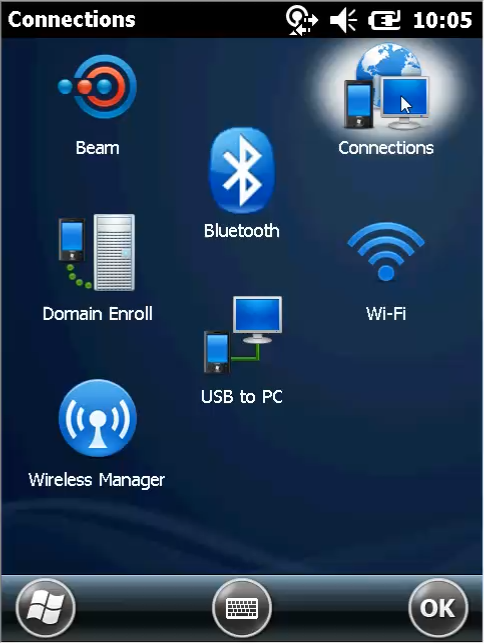 For the handheld devices to properly communicate with the PanatrackerGP server in your network, they need to be configured to 'look' within your internal work network. The following steps will walk you through how to accomplish this. 2. Select WiFi. 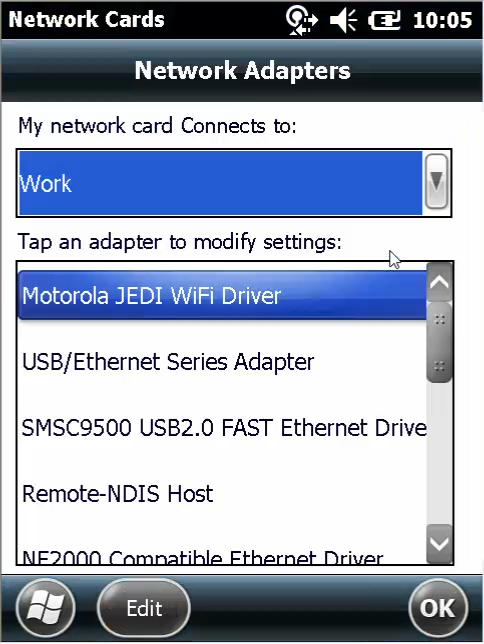 Ensure "My network card Connects to:" is set to Work, as seen below. 3. 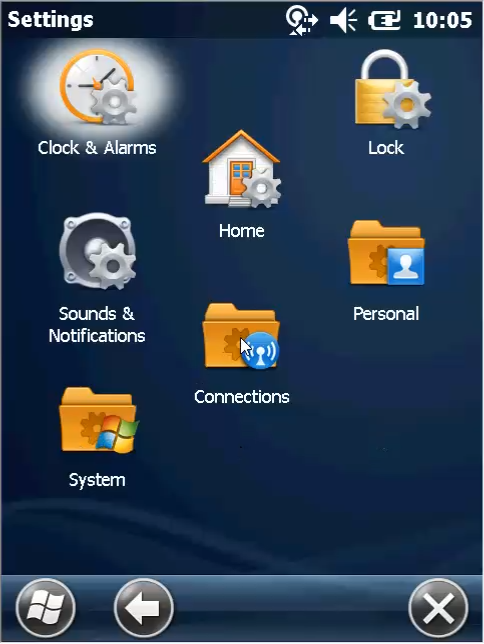 Select OK. Once back in the Connections menu, select the Connections icon (as seen below). 4. Navigate to the Advanced tab and hit the "Select Networks" button. 5. Ensure both drop downs are set to My Work Network (as seen below).